of Metal Ball Nose Cutter. Our Ball Nose Cutter range is widely noticed for efficient usage of qualitative carbide rods in it. A customer can get them in different rake angle, coatings and number of cutting surfaces as demanded by our clients. This Ball Nose Cutter is not only excellent in performance but price, which is not very expensive. Indexable Ballnose Cutters used for end milling operations. Operates using Indexable Carbide Milling Inserts. We are providing a wide variety of Ball Nose Cutter throughout the market. We bring to our customers a supremely latest range of these ball nose cutters in different shapes and sizes in market. These cutters are used widely in mechanical fields for their superlative performance and highly technical construction. This high metal removal cutter can handle very high feed rates thanks to a rigid design and the two effective teeth. K=2. The best cutter on the market, R218.20! 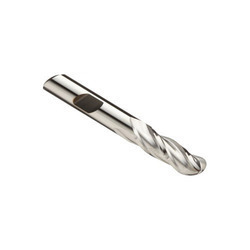 We have carved a niche amongst prominent and leading industries for offering a large array of Ball End Mills. This product is used for wood cutting purpose. We provide to our clients a wide range of Ball Nose Cutters. These are percission engineered and are manufactured using high quality raw material. 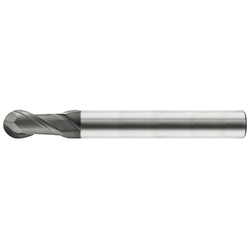 Our range of ball nose cutters is useful for cnc machines and die sinking machines and is a carbide tipped custom built tool. We are the leading brand in manufacturing and trading the world class products. We are proudly presenting Ball Nose. Our capability of handling the work pressure has helped us in meeting the demands of customers. Our clients can avail from us a wide range of C.T. Ball Nose which is made by using modern technology and high quality raw material. These are widely appreciated by our clients. We offer these C.T. Ball Nose at most affordable prices to our precious customers.